When last we saw UK star Martin Clunes on the small screen, he was playing a misanthropic doctor named Doc Martin in a rustic seaside town. 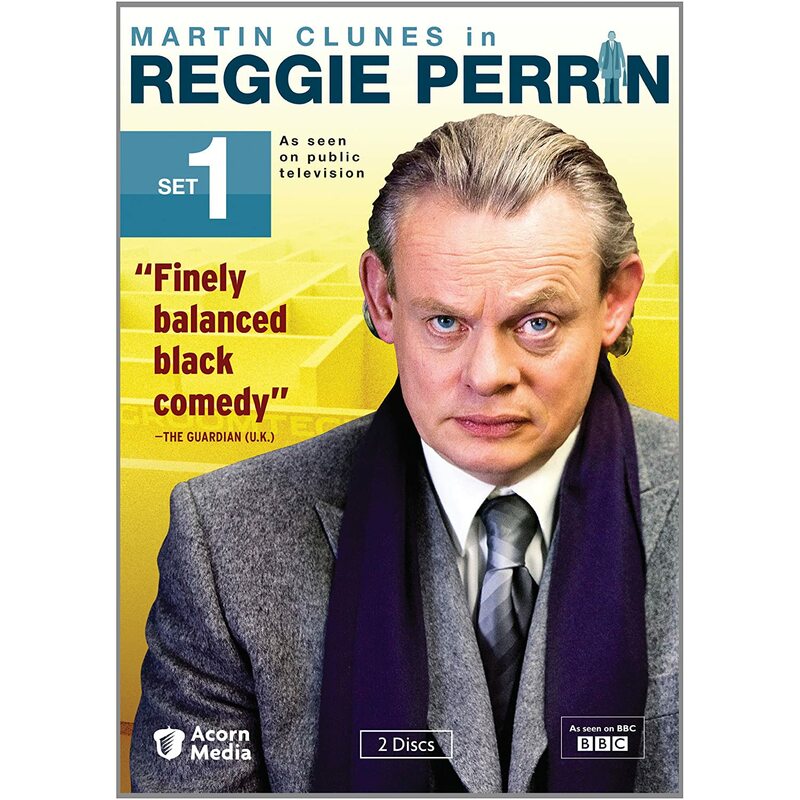 Now he’s back in this new DVD collection, as a misanthropic businessman named Reggie Perrin in a dismal London office building. In a nutshell, we have Doc Martin meets The Office, although that pat description fails to capture the full essence of this show. Perrin is a bored middle manager who is good at his job but tired of the rat race. He’s been in his current position for 10 years, and he’s suffering through a serious midlife crisis that causes him to question his continued employment and lengthy marriage. Sounds depressing, right? Well, he also fantasizes about what he would really like to do, such as various creative murders of his superiors and dalliances with an attractive co-worker, and those flights of fancy are shown onscreen, adding bursts of unexpected hilarity to the show. Also, he begins progressively acting on his impulses as the series continues, so what starts as a boring and depressed man morphs into a free-wheeling, brazenly opinionated iconoclast by its end. He’s not the most likeable of characters, but certainly someone most office drones can relate to, making his transition from heel to rebel all the more rewarding. 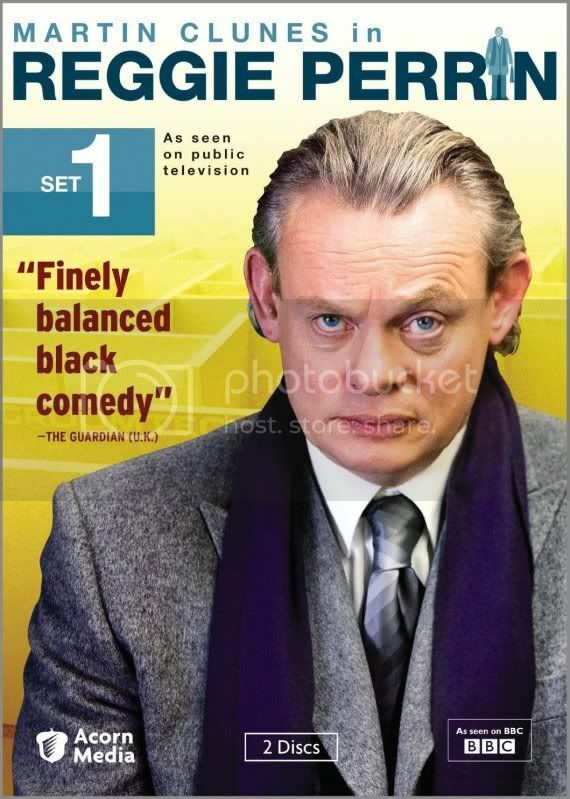 Clunes is a bit more overt in his comedy here compared to his stint on Doc Martin, especially in the comical fantasy segments, but otherwise the Perrin character could be Martin’s long-lost relative. Another similarity is his character’s unlikely but simmering romance with a contemporary well out of his league, in this case the lovely Lucy Liemann as office mate Jasmine. His hair is another story though. Much like the dreaded Tom Hanks 'do in The Da Vinci Code, Clunes sports long shabby locks that distracted me from the plot while I tried to reconcile my image of the neatly close-cropped Doc Martin with this follicle travesty. It improves a bit in the second season as the character and hair relax, but not by much. Clunes is comedic gold throughout the show, with decent help from his crazy boss, his juvenile assistants, and his father-in-law. The show as a whole isn’t nearly as solid as Doc Martin, but it’s an enjoyable and amusing distraction while we wait for the good Doctor’s return later this year. The biggest negative factor for me was the use of an unnecessary laugh track that thankfully became less noticeable as the series progressed. Reggin Perrin Set 1 debuts on US DVD on Tuesday, July 19th. The new DVD collection includes the entire two seasons, with one full six-episode season on each of its two discs. There are no bonus features aside from a photo gallery. For more information and a clip, visit the Acorn Media website. Steve, you always sell these BBC shows so entertainingly and well, always want to break out several hours to watch each time I read one of your great reviews !